A complementary feed supplement to increase and provide the antioxidants used by the liver for detoxification. 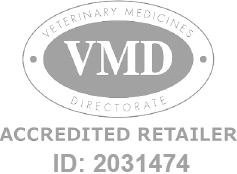 Ideal for use in cats & dogs suffering from liver disease. Samylin Sachets for Cats & Small Dogs is a Prescription Only Veterinary Medicine and by law requires a prescription from your vet. Small Breed Samylin = <0.5kg 1 sachet daily, 5-10kg 2 sachets daily. Medium Breed Samylin = 11-20kg 1 sachet daily, 21-30kg 2 sachets daily. Large Breed Samylin = 31-40kg 2 sachets daily, 41-50kg 3 sachets daily.